The Photon ships with a less-than-average number of apps at 38 installed out of the box. Some can be deleted, some cannot; either way, there's plenty of room for owners to install their own apps. None of those preinstalled really stand out as spectacular. Sprint specifically left off most of its own, branded apps, which can be downloaded from the Sprint Zone if you so wish. 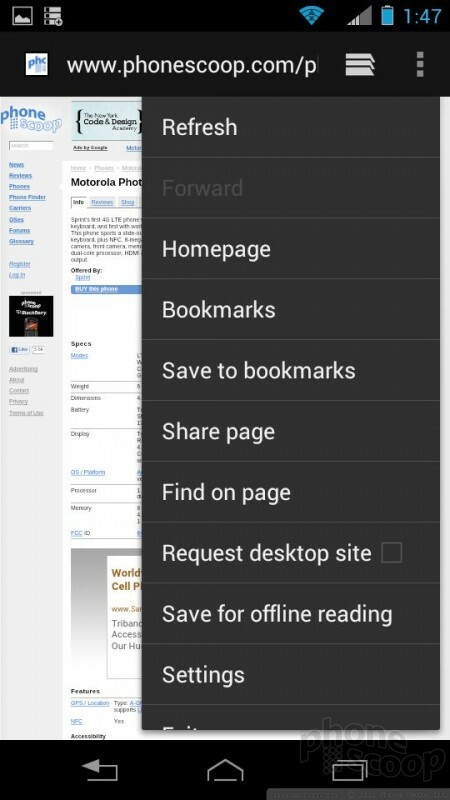 The Photon includes the stock Android browser. The controls are easy enough to use and the browser does a fine job of rendering both full HTML and mobile-optimized web sites. 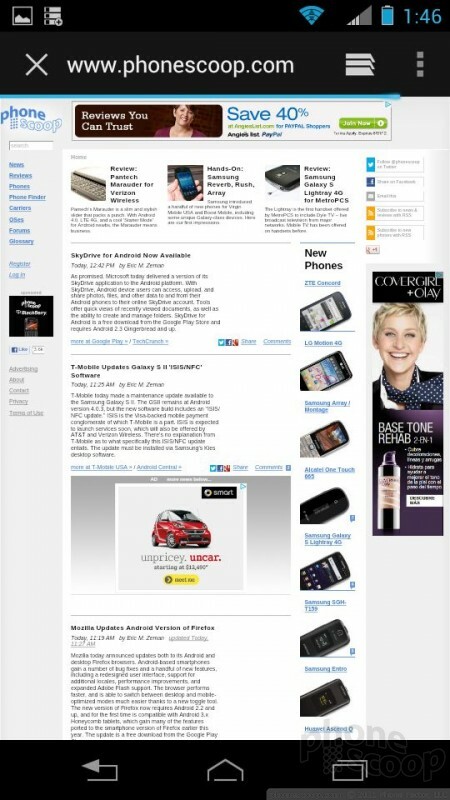 Browsing over Sprint's 3G network was mostly decent, though I noticed sites took a while to load from time to time. As I've noted in other reviews, Google's Chrome browser is a better option. It doesn't seem much faster, but the tools and features are far superior to the stock Android browser. The Photon supports a number of Bluetooth profiles, including those that allow you to connect to mono and stereo headsets, other phones, PCs, cars, and so on. It paired with each device without issue and had no trouble communicating with other gear. Phone calls sent to Bluetooth headsets had pretty crummy quality; ditto with those sent to my car system. Music sounded OK when passed through stereo Bluetooth speakers. If you're in a hurry to check the time, a quite press of the power key lights up the Photon Q's display, making the large digital clock visible. The clock is white, so choose your wallpaper carefully. The behavior of the lock screen clock can't be adjusted, but of course there are myriad clock widgets for the home screen panels. The Photon includes Google Maps, Navigation, and Latitude. You know the drill here. Google Maps is great for a free service, with cool features such as offline use and 3D maps. Sprint's service, which is available for free, can be downloaded from the Sprint Zone if you really want to use it.